The hubby and I are off exploring Mammoth Caves today so this Tasty Tuesday is just a little different. 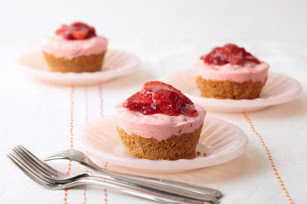 I found these three yummy looking strawberry recipes from Kraft Foods. I thought with it being the middle of summer these would be fabulous treats. One recipe is great for kids, one for adults and the last for the whole family to enjoy. Click on the name of each picture to take you to Kraft's website for the recipe. Totally want to try these out- Yum! I'll be back tomorrow with a fun redo that I did, well if I can finally finish it without something else messing up! I am THIS close to being done. Oh my those look heavenly!!!!!!! 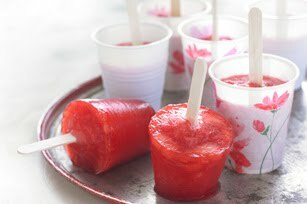 These look yummy and perfect for those hot summer days! yum! those look good! Have a great day! Oo yum I love strawberries! 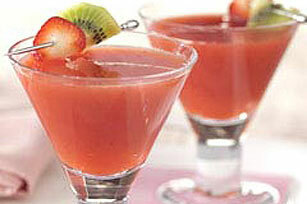 The strawberry tini looks great! Thanks for sharing!